I’ve finally done it! Beaten every boss and maximized my character, as well as earned all of the NPCs. 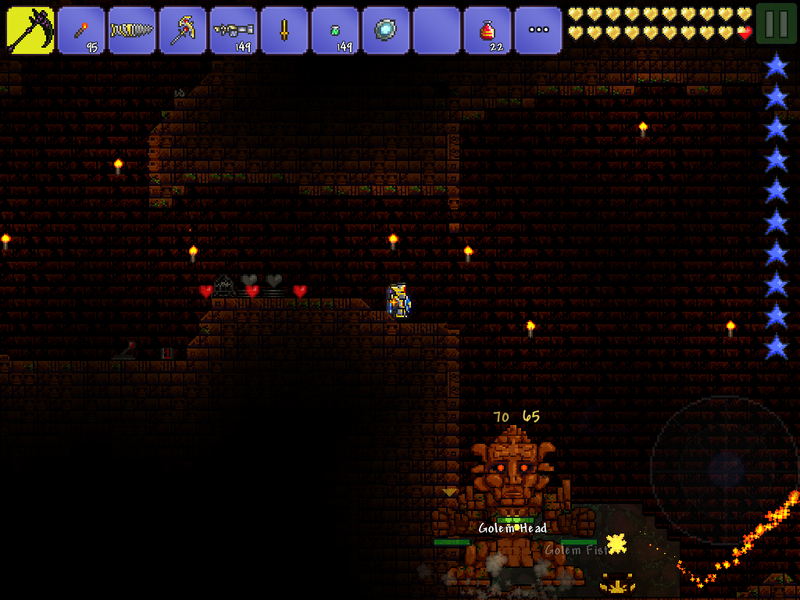 The problem with Terraria…there isn’t a specific goal. You just…play…. I suppose I can consider that I have beaten the game. I have already begun a few new worlds. It took me a long time to beat “The Wall of Flesh.” But after I did, WOW, the game got a lot more fun! My continual defeat to that boss had me put the game down for about two months. My character could kill any other creature he would encounter or summon. But in order to advance, killing the Wall of Flesh is very necessary. The mechanical bosses are very difficult (Except for the coolest one, “The Destroyer.”) “The Twins” beat me over and over. And I had a hard time coming by “Lenses” late in the game…an item essential for building the “Mechanical Eye” needed to summon the Twins. The way I eventually beat them was by rigging a transporter…I built a boss arena right in the middle of the Hallow, Purity, Jungle, and Crimson biomes in my world. I preserved a single Crimson Altar right in the middle of the arena. I rigged a transporter that would take me to the nurse…I would be healed, and then zip back to the arena! The “Solar Eclipse” and “The Steampunker” are essential to getting the strongest and best items. “The Clentaminator” is a very nice machine for shaping your world how you want it to be. I found some very nice weapons and made some as well. However, the strongest weapons and items aren’t necessarily the best. I made “The True Night’s Edge” and “The True Excalibur.” But the “Murderous Death Sickle” is the best weapon I found. It launches copies of itself that spin through walls and hit any enemies around it. And you can fire multiple copies..so you are surrounding yourself with powerful hitting energy! Virtually no enemy on the game except the bosses can withstand this weapon. And the bosses don’t stand long! As for wings…I crafted both the Angel and Demon wings. Neither seemed as good as the Fairy wings. I also have the sparkly wings, and I haven’t decided yet if I like them as much as the fairy wings. I still can’t mine the Jungle Temple Bricks. I have spent minimal time finding spoilers. I finally broke down and learned how to mine the “green stuff…” I had a BEAST drill, but it just wouldn’t do it. So I have the best drill now, the Drax,…which can. (The green stuff is “Chlorophyte”.) But even the Drax can’t bust the Jungle Temple block. The internet says a “Picksaw” is required…a rare item drop from beating The Golem. I have beaten him five times, and he hasn’t dropped the Picksaw. 😦 What makes Golem so frustrating is the rarity of the “Lihzard Power Cell,” an uncraftable item rarely dropped. YOU CAN beat “Plantera” and take his jungle key to a new world, where you can unlock the temple and just steal one or two from the chests inside, then bring it back to your world. But this feels like cheating to me. 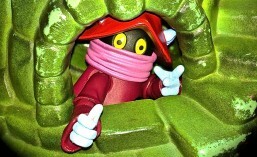 Either way, I’ve done it in order to summon the Golem…and he always drops something really nice. But he hasn’t dropped the Picksaw yet. Following are a couple of pictures of my game! My world is quite large and detailed. Note that I have been “purifying” the world. You can see my “Boss Arena,” That square thing right at the underground level. I designed the arena around a Crimson Altar, so that I could summon a boss here easily. It is easy for me to see whether or not it is daytime or nighttime…most bosses have to be summoned at night. Before I cleansed it, a little of the Crimson, Purity, Hallowed, and Jungle all converged at the arena…this caused a variety of enemies to always spawn in the arena. I also have two machines. One generates hearts so that my character can easily heal during a fight, the other is the transporter, discussed above. Eventually I figured out that it was best to build the houses for the NPCs in the sky. The Harpies and Wyverns are occasionally a headache. But during Blood Moon and other events, the NPCs are always safe. The most interesting part of this plan is that there is a Mushroom Biome incorporated into the Sky City…to accommodate the mushroom man character. 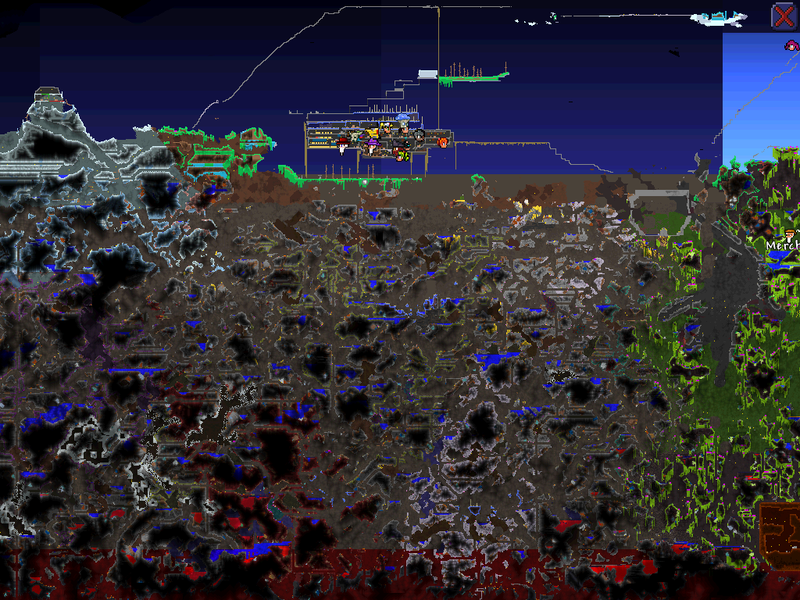 This biome eventually became a money generator. I would harvest the mushrooms and sell them to NPCs and then buy stuff. Here is a close-up of my Sky City. Notice the transporter…If I had a mechanical item selected in the access bar, then you could see a long wire leading off to the arena, which is strategically a good distance from the Sky City. It was challenging to build, though. And the picture below is of my character, named “Teddie”, is fighting the Golem. You can see I put the heart generator machine nearby so I could constantly heal. 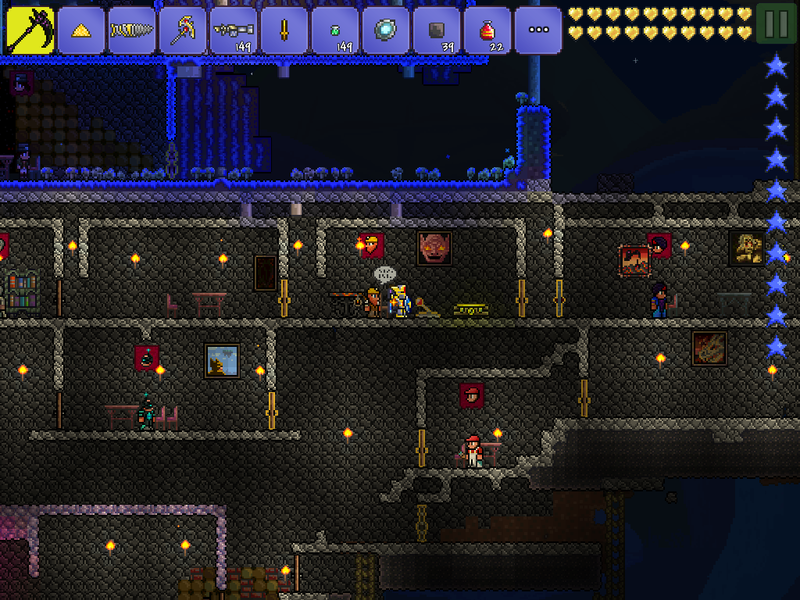 Terraria has been a terrific romp into a kind of game I never played before. The game designers evidently also push out special holiday bosses and biomes. The two month break I took evidently had an Easter theme…but I missed out. But I will keep my eyes pealed. If the game designers do that, I will continue to be engaged in this deep, new, and yet nostalgic game. This entry was posted in SpartanNerd, Terraria, Video Game and tagged Golem, Minecraft, SpartanNerd, Terraria, Wall of Flesh. Bookmark the permalink.